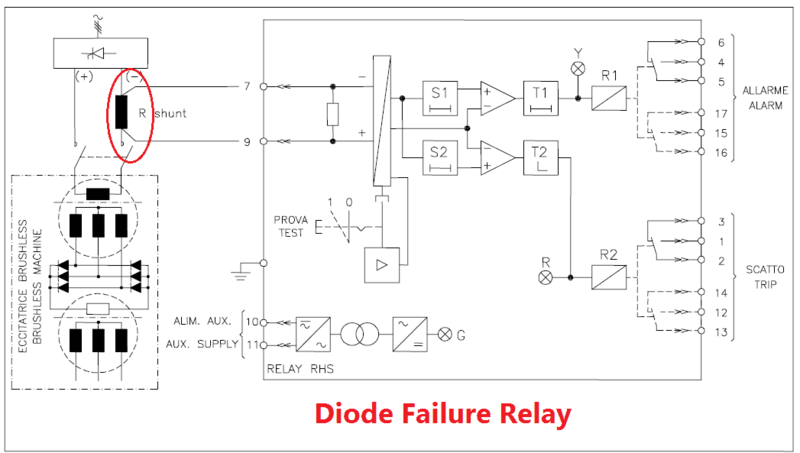 Rotating Diode Failure Relay Working Principle? It works under principle of ohms’ law. 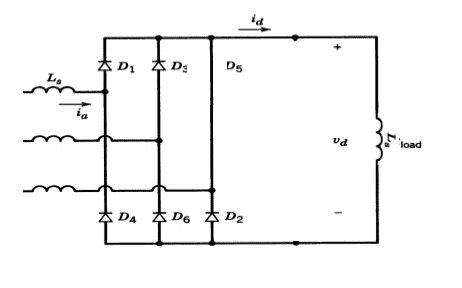 When the current through the resistor increases, the voltage drop across the resistor increases simultaneously. Note: For larger alternator, the resistor is connected in AVR output, For small alternator the resistor is connected in series with the exciter coil. 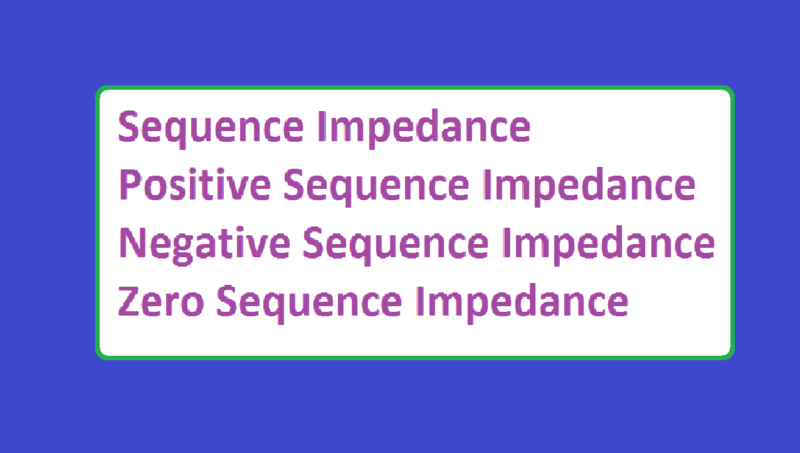 Normally, the relay detects two types of fault, one is open diode and another one is short diodes. 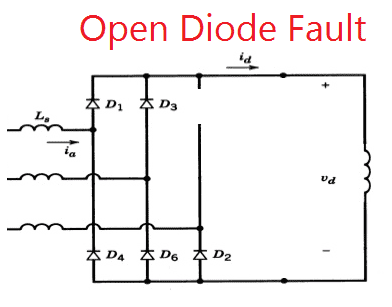 Open diode fault means the one or more diode gets open circuit. In this case the field current increases a little but the machine can continue to run quite normally. On this type of failure, the generator is not at any immediate risk so operation during limited time is still possible. But, if two or more diode failure means the relay trip the alternator. In this case, the exciter field current takes high as to maintain the generator voltage at rated. This fault increases largely with the risk of severe damage to the Automatic Voltage Regulator and to the exciter; the relay has then to trip and to shut the machine down. 86 M generator master trip opted. After tripping of your alternator on diode failure protection, you restart the machine, but if the fault persists then contact electrical maintenance staff to check the RRA.